The next time you get into an argument with an apologist for the food industry who suggests that your concerns for the industry's lack of ethics are unfounded please just pull out this post and photo. 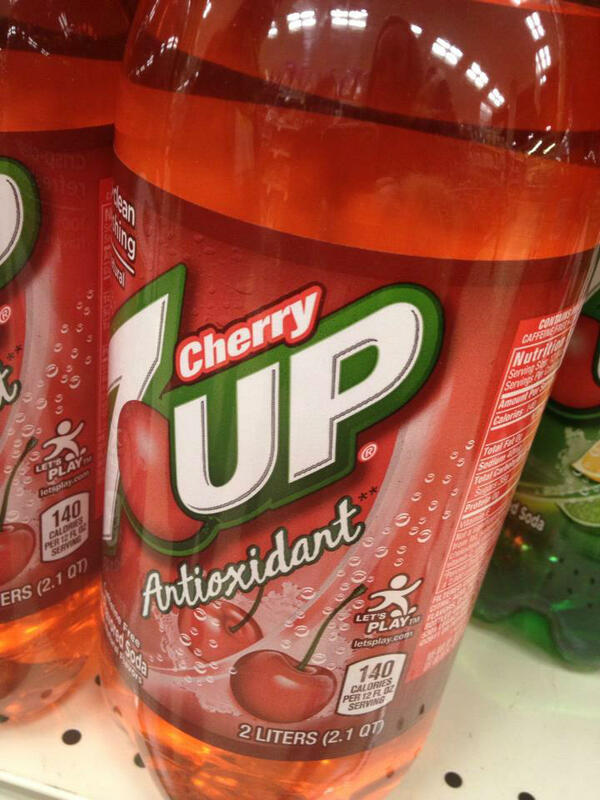 Behold - Cherry 7-Up Antioxidant. From the you can't make this stuff up file.